These last few months I have been rehearsing 'Just Joyce' on my own (with an occasional rehearsal with a pianist) and along side this, directing 'Everything Between Us' (our October production) with a cast. It has been a useful tool to be doing both at the same time, as I have had a direct comparison. I think I have come to the conclusion that the best parts of this business we call 'show', are the friends, fun, comradery, and teamwork of working with a cast & crew throughout rehearsals, and I have kind of missed that doing Joyce on my 'Jack Jones'. Now, on the plus side, I love Joyce Grenfell (or 'Choice Pencil' as SIRI likes to rename her) and have done so from a young age, so it is a joy to be working on such fabulous pieces, and even now they are still making me laugh. I have also thoroughly enjoyed researching her life, and I now feel I know her intimately. So all of that has been a huge bonus, and I hope will continue to be so when we finally get in front of our audience in August - although I don't want to think about that just yet! 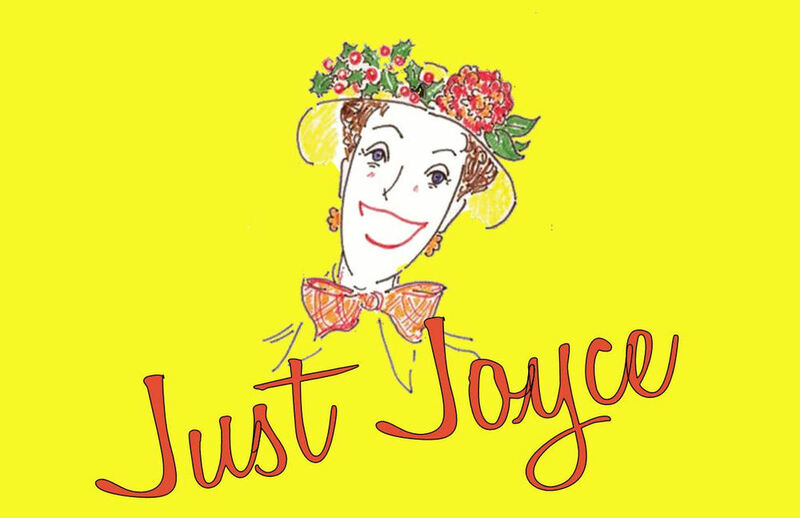 We will be taking 'Just Joyce' into some residential homes for the elderly after we have performed at the theatre, and I think this may well be what makes this whole project even more worthwhile. When the cockney comedienne Nelly Wallace watched Joyce from the wings of the theatre, she was heard to mutter "what does she think she is doing out there, talking to herself". That is so true of me right now, all my neighbours, people who see me walking my dog, on the tube, trains, in my car and in the street will have seen me 'talking to myself' for the last 3 months - what I am doing, is in fact going over my lines. I'm surprised I have not been carted away by now! 2013 has been a year of new experiences for me so far, having written and produced my own play for the first time, and now performing a one-woman show. I'll let you know in December if I will do either of these things ever again . . .